From Alburquerque, we headed to Merida, a town known for its impressive Roman ruins. When Rome stretched into the Iberian Peninsula, Merida was a major city and the town is still famous for many intact ruins. We arrived in the evening and drove past a few ruins just getting to our hotel. Walking from the car to the hotel, we passed a few more ruins, each with a cat siting by the entrance, who became known as Ticket Cats. We assumed they attacked if you entered without paying. We headed out for dinner and found the city to be quite underwhelming when it came to atmosphere in their eating establishments. As a result we ended up at, once again, the closest restaurant to our hotel. 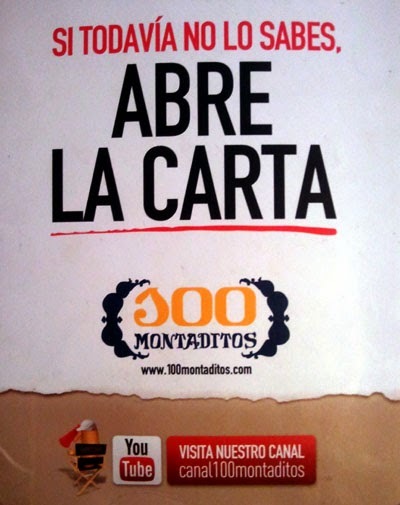 It was a chain called 100 Montaditos and was surprisingly good. Montaditos are tiny sandwhiches and the night we were there, they were all half a Euro. So we ordered a bunch of little sandwhiches and chowed down. Andrew's mom feel in love and we went back the next day for lunch. There is a picture from Montaditos, because it was the only thing really worth mentioning in Merida. There were Roman ruins, but we had just spent a month in Rome, so nothing too impressive. 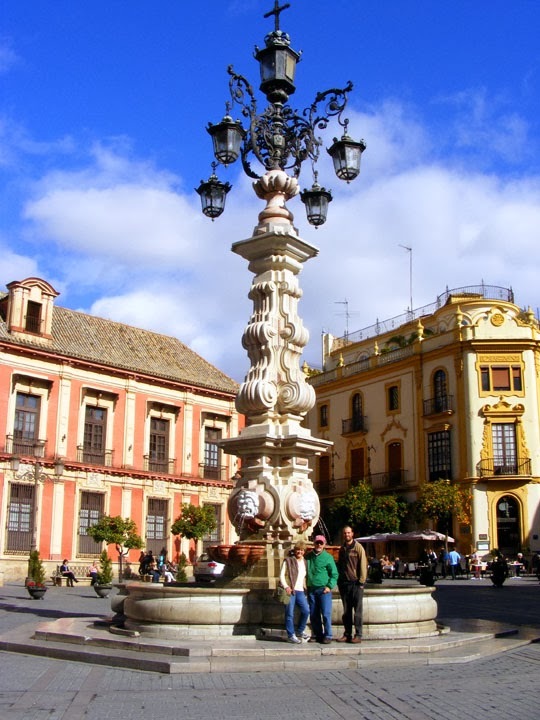 The weather was bad, so we headed out of Merida looking for sunnier skys in Sevilla. And Sevilla didn't let us down. 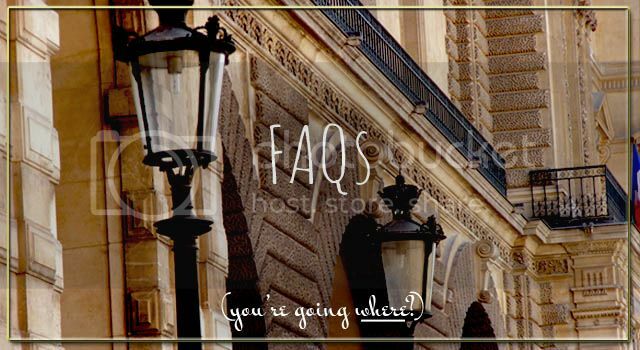 We had quite the time finding a parking spot by the old city, but after a few laps through some round-abouts, we found one and started exploring a great city. 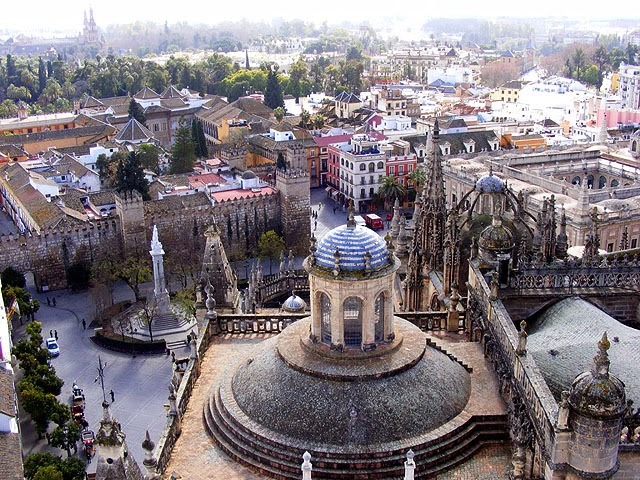 The old city of Sevilla is a sight to see. Tiny roads turning this way and that with little shops and restaurants everywhere, not to mention the orange trees - they are also everywhere. 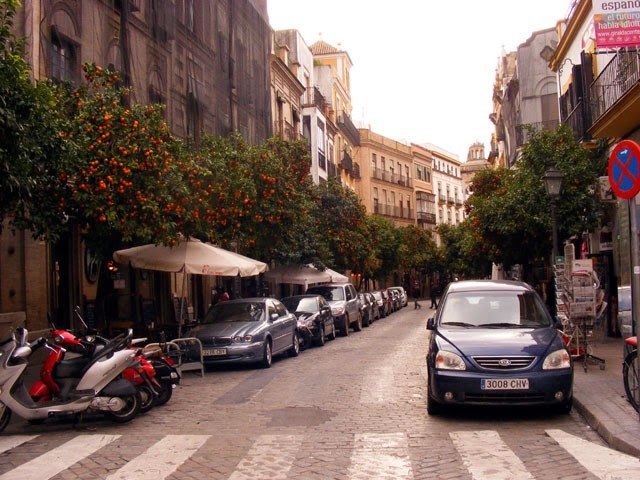 This road is a virtual interstate by old city Sevilla standards. The sun was shining so we headed around town. After getting lost in the winding streets of the old city, which is pretty much a given, we finally found Plaza de Espana. It was built in the 20's for a Spanish / American Expo, but unluckily for them, it took place right after the market crash - so Americans didn't show up in the numbers they hoped. But none the less, it was a beautiful area. 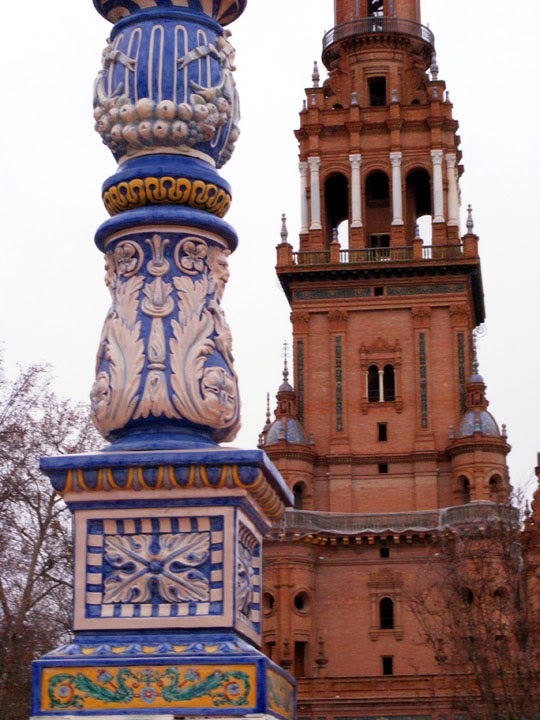 Sevilla is also known for its great food which we indulged in. We ate at a restaurant that was in an old Moorish bathhouse. The whole room was done in intricately-patterned Moorish til. 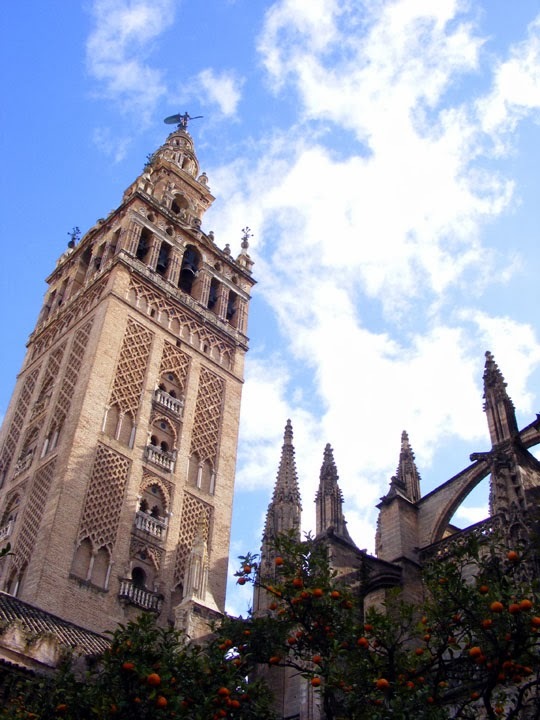 The next day we headed to the Giralda Tower which is a symbol for Sevilla and is attached to the Seville Cathedral, the largest Cathedral in Europe. We had seen many churches and Cathedrals in our time in Spain, but this was definitely was impressive. 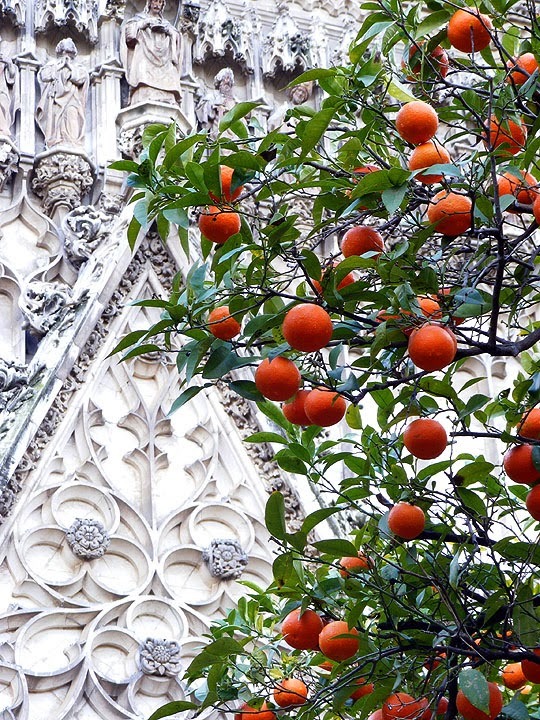 The Giralda Tower and Cathedral from the outside (and more orange trees). 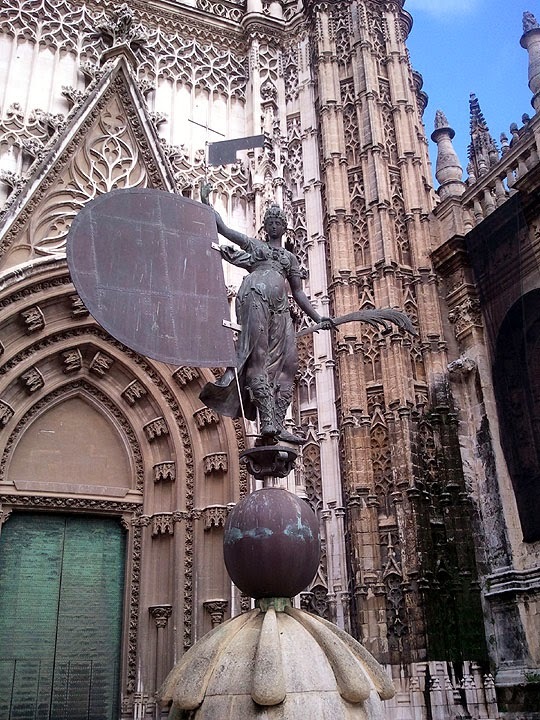 The Cathedral houses many tombs, one being that of Christopher Columbus, maybe. He was supposedly buried in Cuba, but brought to Spain after Cuba's troubles in the past. Although rumors abound that it's maybe not him... but anyway, whoever is buried in the Cathedral has one hell of a tomb. This is how you get buried in style. 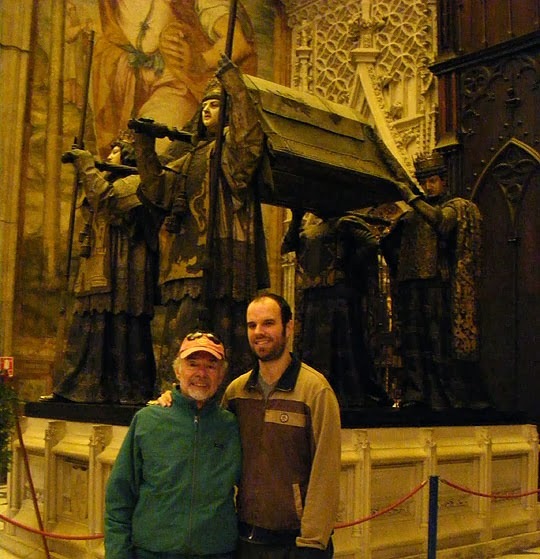 Andrew and his Dad in front of Christopher Columbus's tomb. 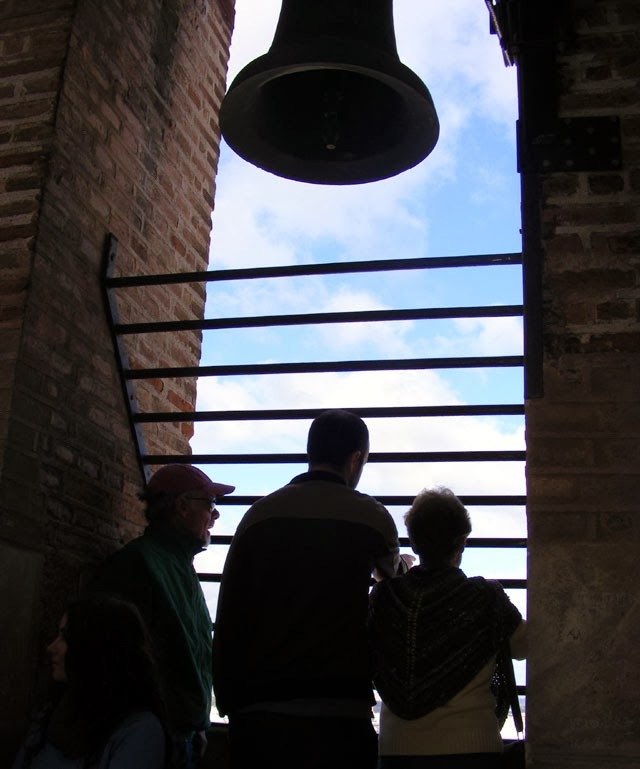 Next we made the long trek to the top of the Giralda tower, to see the breathtaking view of Seville. 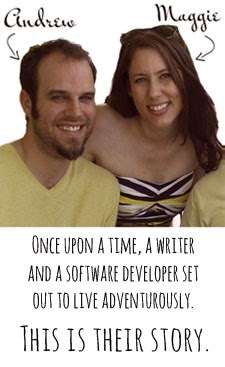 obviously super late in the game but i'm catching up on your adventures! i wish i would have seen this earlier- could have sent you to one of the coolest flamenco places i know, la carboneria! 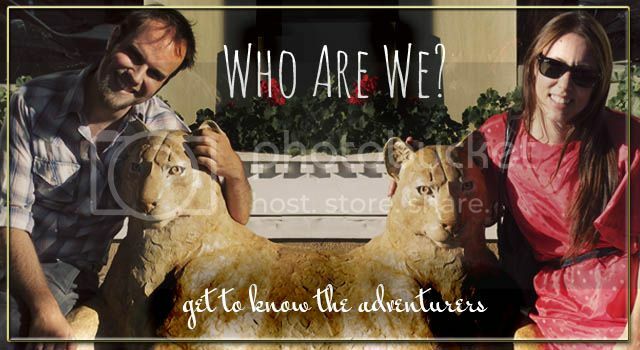 looks like you've been having some fantastic adventures...can't wait to hear in more detail! besos!